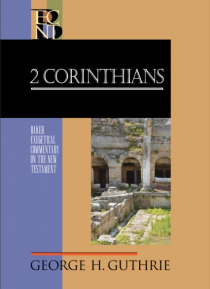 In this addition to the award-winning BECNT series, a respected New Testament scholar offers a substantive evangelical commentary on 2 Corinthians. George Guthrie leads readers through the intricacies of literary structure, word meanings, cultural backdrop, and theological proclamation, offering insights applicable to modern ministry contexts. As with all BECNT volumes, this commentary features th… e author's detailed interaction with the Greek text; extensive research; thoughtful, chapter-by-chapter exegesis; and an acclaimed, user-friendly design. It admirably achieves the dual aims of the series--academic sophistication with pastoral sensitivity and accessibility--making it a useful tool for pastors, church leaders, students, and teachers.